your Conch Charters cap is on the way to you. Yea!! Our 25th Anniversary Conch Test starts this month. Several lucky crews will win 25% off their upcoming charters. November 24th marks the day when a charterer picks out our first winner. 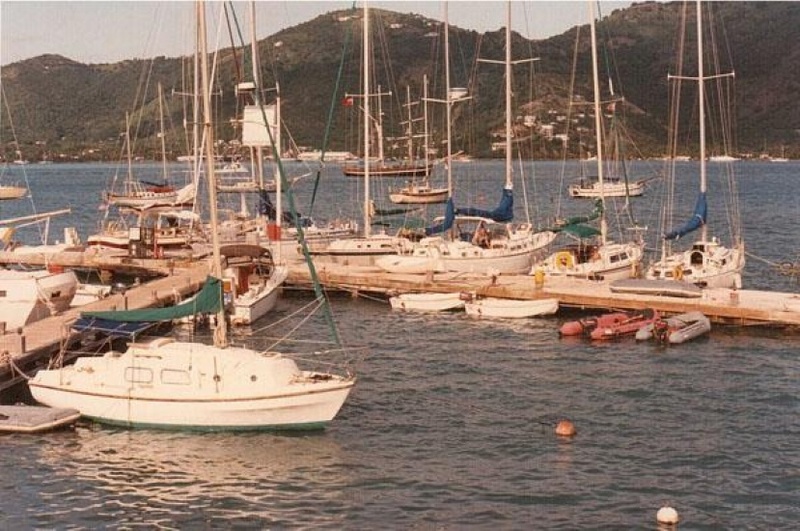 A mere 494 years after Columbus' second voyage and his arrival in the BVI we sent out our first Charter on 7th December 1987. What Country did founders Brian and Cindy arrive from? What famous English explorers name is on the channel running up the Southern side of Tortola? Shake the rum, ginger and apple juice in cocktail shaker with ice. Strain into a chilled martini glass. As an indulgent optional extra garnish with whipped cream and a sprinkle of nutmeg – Yumm!! The Hunter 38 is an exceptional cruiser for one or two couples who want to sail the warm waters of the British Virgin Islands in comfort! You'll find all the comforts of home on the Hunter 38 in the extra large salon with over 6 foot of headroom and superb master cabin aft. The guest cabin is at the front. Both cabins have fans. The salon has plush seating and plenty of room for dining down below in the air conditioning. The modern galley won't disappoint with plenty of countertop space, stove, refrigeration and micorwave for preparing delicious meals to dine under the stars. There is a dedicated nav station. Plenty of seating under the shady bimini is great for enjoying the sailing or relaxing with a book in the cockpit. The cockpit opens up onto the swim platform for easy access to the warm sea. It features an in mast mainsail and roller furling genoa. Hunter has improved the design of the Hunter over the years and the Hunter 38 is very responsive and maneuverable. It would be very forgiving to sail in a breeze and easy to maneuver in close quarters such as docking. The electric windlass makes anchoring a breeze. All in all the Hunter 38 has a very functional interior and performance cruising.